Headphones | Reviews and products | What Hi-Fi? Looking for the most detailed sounding in-ear headphones money can buy? Shure’s KSE1200s are a great starting point. The most technically impressive true wireless headphones get more technically impressive, but do they sound better? 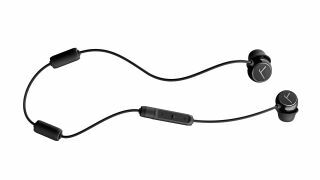 Updated Sennheiser takes on the Apple AirPods with its first pair of truly wireless in-ear headphones. They may share their name with an Award-winner, but the Amiron Wireless headphones are let down by one major flaw. These wireless, noise-cancelling Sonys cost just a third of the WH-1000XM3 Award-winners. The Focal Stellias prove that a closed-back design is no barrier to a truly top class sound. These true wireless earphones aren't the ultimate in sound quality, but Apple still leads the way where the tech is concerned.